A man whose body was found in a street, prompting six people to be arrested on suspicion of murder, had injuries "consistent with a fall", police have said. Spencer Bryan Galvin, from Ramsey, was found dead near Church Road Marina in Douglas at about 19:00 BST on Monday. 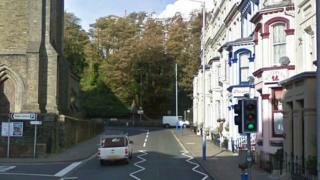 Revealing the cause of the 43-year-old's death, Isle of Man Police said it remained "unexplained". A force spokesman said the six who were arrested would face no further action. He said the arrests were made on Monday evening "near to the scene" where Mr Galvin's body was found. He added that all six people had "assisted" officers and had "now been released". An alley remains cordoned off behind the properties on Church Road Marina.